Christian spirituality is a way of life guided and empowered by the Spirit of Jesus Christ. St Paul often speaks about it in terms of ‘walking in the Spirit.’ Without the activity of the Spirit in us, it is not possible to follow Jesus, accept his message and live by his values. Columban missionary spirituality is about being led by the Spirit as we commit ourselves to engage in the mission of Jesus in today’s world. The Spirit is the principal agent of mission. In sending his disciples on mission as the Father had sent him, the risen Jesus breathed on them, saying, ‘Receive the Holy Spirit’ (John 20:22). In his Gospel, St Luke characterises Jesus as a person of the Spirit with an urgent sense of mission. The Spirit leads Jesus and, at every turning point in his mission, Jesus opens himself in prayer to the guidance and power of the Spirit. 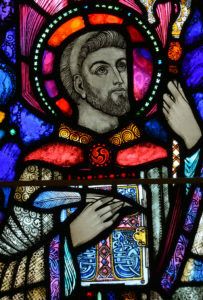 When St. Luke tells us the story of the mission of the early Church in the Acts of the Apostles, he again emphasises that the Spirit is the driving force of mission. To be a Columban missionary is to seek and co-operate with the Spirit of Jesus at work in today’s world. In beginning his mission, Jesus says, ‘The Spirit of the Lord is upon me, because he has anointed me to bring good news to the poor’ (Luke 4:18). He took the side of the poor and the outcasts. He challenged structures and cultural practices which excluded people in any way from the society of his day. To engage in mission in the Spirit of Jesus is to stand with the poor who are exploited today and to work for a situation in which no one is excluded from the blessings God wishes for all. It also involves action on behalf of the exploited earth from a deep respect for God’s creation. 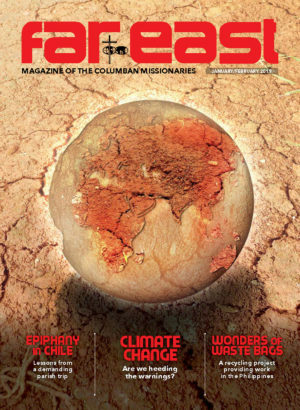 Through work for social and environmental justice, Columban missionaries discover and are evangelised by God’s Spirit moving in people’s lives and the whole of creation. 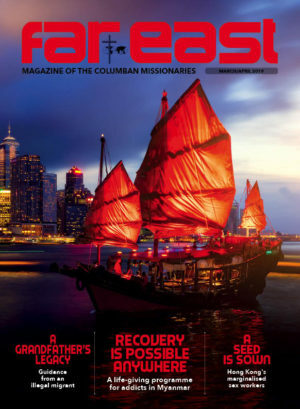 Columban mission involves crossing boundaries of language, race, culture and religion. We go to peoples of different cultures and faiths to share what we have experienced in and through the Good News of Jesus Christ. In responding to Jesus’ call to proclaim his Good News, we realise that what we have is a gift to be freely shared, never to be imposed. But we are also conscious that our experience is always culturally limited and needs to be enriched through openness to other cultural practices and religious beliefs. We are convinced that the Spirit of Jesus is at work in all cultures and religions, helping people to live together in just and loving relationships and leading them to experience God’s salvation. We seek and affirm the Spirit who is already active in people’s lives before we arrive on the scene, knowing that we have much to learn about the ways of the Spirit in mission. Our crossing of boundaries is an experience of giving and receiving. To be a Columban missionary is to respond to a call, rather than pursue a career. The ancient prophets insisted that they did not choose to be messengers of God, but were called to this role, often unexpectedly and without any clear understanding of how things would turn out. Jesus had a deep sense of being called by God and he invites us to join him in responding to that call. ‘You did not choose me, but I chose you. And I appointed you to go and bear fruit’ (John 15:16). The call is not just a once-for-all event, but an ongoing experience in the life of a missionary. Each day is a time for hearing and responding to the call in the changing circumstances of life. Knowing that we are called instils confidence, because the God who calls is the God who always empowers us to respond. Columbans journey on mission with others who also hear the missionary call, supporting and encouraging each other on the way. We are members of a missionary Church in which all are called to witness to Jesus Christ. The Spirit endows people in the Church with different gifts and ministries, which are meant to complement one another in our one mission. The partnership of ordained and lay Columbans in mission highlights the missionary vocation of all the baptised and explores new avenues of ministry in the Church. The way we relate to each other as a multicultural group of Columbans is meant to be a sign of the life-giving relationships we are promoting in mission and a challenge to a world often divided and in conflict on the basis of cultural differences. Convinced that the Spirit of God moves everywhere, Columbans also enter partnerships for action with people outside the Church whose vision and values are similar to our own.